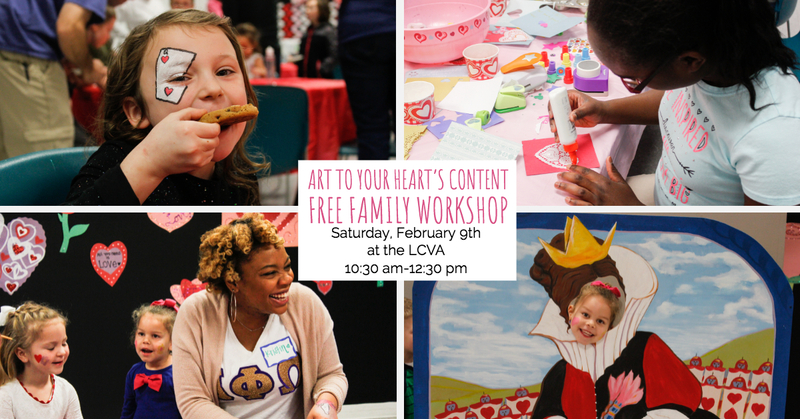 As love songs fill the air, families will have the opportunity to create a host of valentine-themed art activities! This event is free and open to the public; no registration is required. Supplies and plenty of smiling and skilled volunteers will be on hand! Children must be accompanied by an adult. There is a perfect art project for everyone’s sweetheart at this event! Doors open at 10:30am at the Longwood Center for the Visual Arts at the intersection of Third Street & Main Street in historic downtown Farmville, VA.